Upon entering the shop during a weekday lunch, I noticed something amiss. Wait, no customers in the house? Hmmm… Maybe they will be the new, undiscovered and promising. But it is both frightening to the owner (the rent!) and customer (is it that bad?). 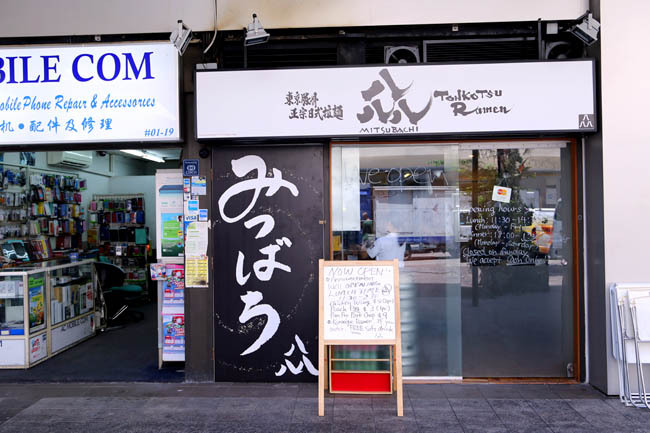 Ramen Mitsubachi is small and cosy, with service sincere. 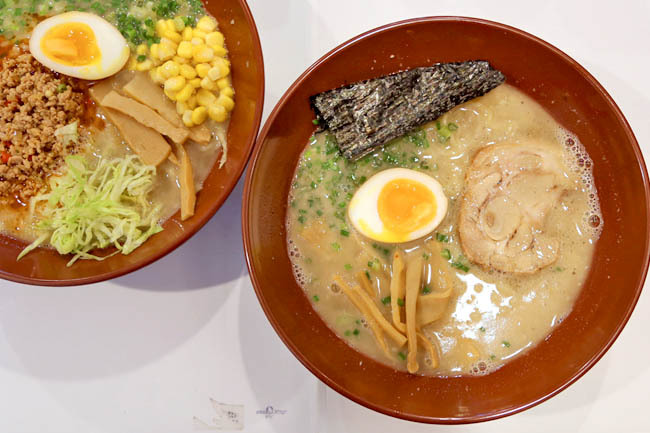 The signature is the Tonkotsu ($12), while others such as Cha-shu ($16), Kuro ma-yu ($13.50), Miso ($13.50), Tomato ($13.50), Fish ($13), Pork Karaage ($18.50) are available. 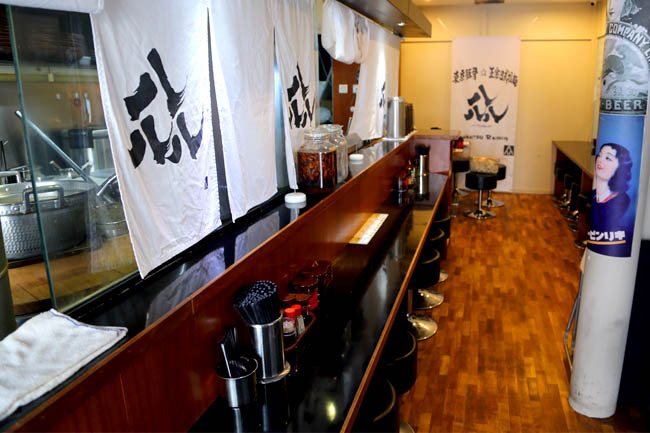 There are some rice don sets and daily specials, so feel free to ask what else is available. The Tonkotsu Ramen ($12) while at a wallet-friendly price, had bland stock with texture which was in between thick and thin. The service staff mentioned they used to serve either thick or light soup upon customer’s request, but have now chosen to go middle-ground. Seems like it would please neither now. The texture of the noodles did not work for me as well. Let’s hope they can continue to fine-tune. When I mentioned I liked something spicy, they recommended the Tan-Tan Ramen ($13.50) which is off the menu. Unfortunately, the choice wasn’t favourable, as the spiciness of the soup did not blend with the rest of the ingredients, with an awkward clash. The good thing is: they served sliced garlic and a black sesame sauce at the side. After adding those to the broth, the noodles became more palatable. That’s not saying much about their soup base either. My sense is local customers prefer a soup broth which is richer in flavours, very hot in temperature. 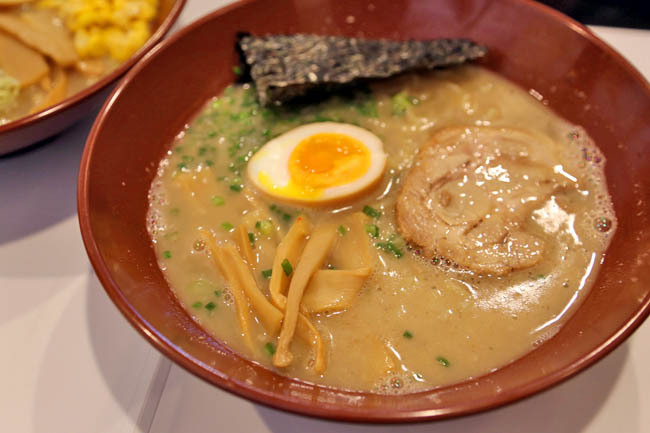 Some online reviews commented the ramen was quite delicious. Perhaps I just caught them on a wrong day. 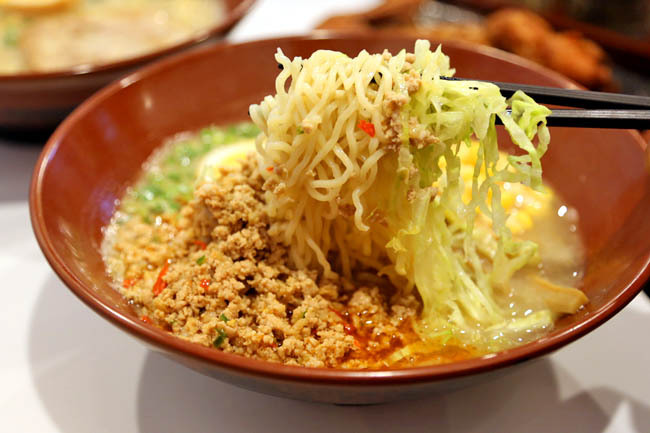 Hi daniel, the ramen stall just uplorry. Thanks for telling, though kind of expected. Gave it 6 months. Oh well, hope the next shop will be better. 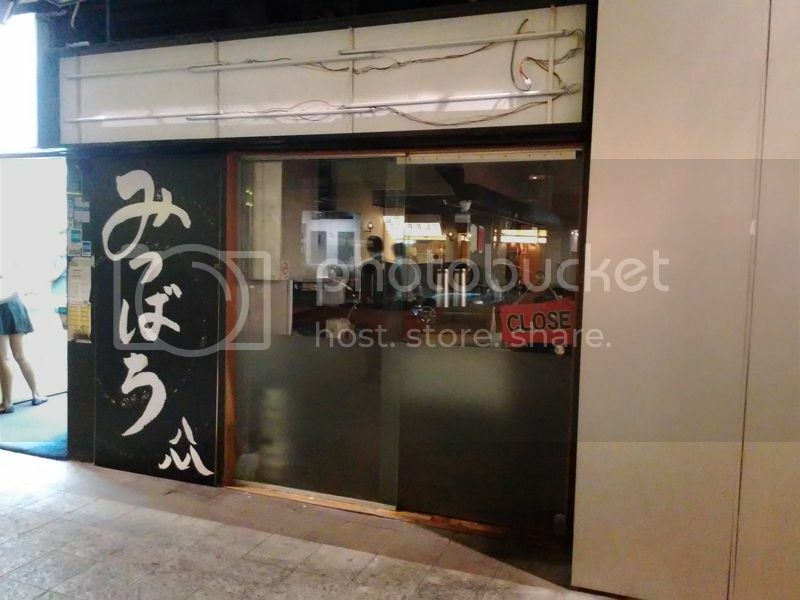 There is a new stall “Ramen Chiyume” at the same location. Thanks for letting me know. Oishii? Yet to try. But is ramen on a Chinese claypot.